On-site or on the road. Fueling solutions designed around you. You can be confident that when you partner with Three L, you’re aligned with one of the most knowledgeable, well-respected and reliable fuel distributors in the Gulf Coast. No matter what your fuel needs are, Three L can deliver the solutions and fuels to keep you and your customers running smoothly. Let us know how we can help you. As one of Texas’ leading fuel distributors, we carry an extensive line of gasoline and diesel from most major industry brands. 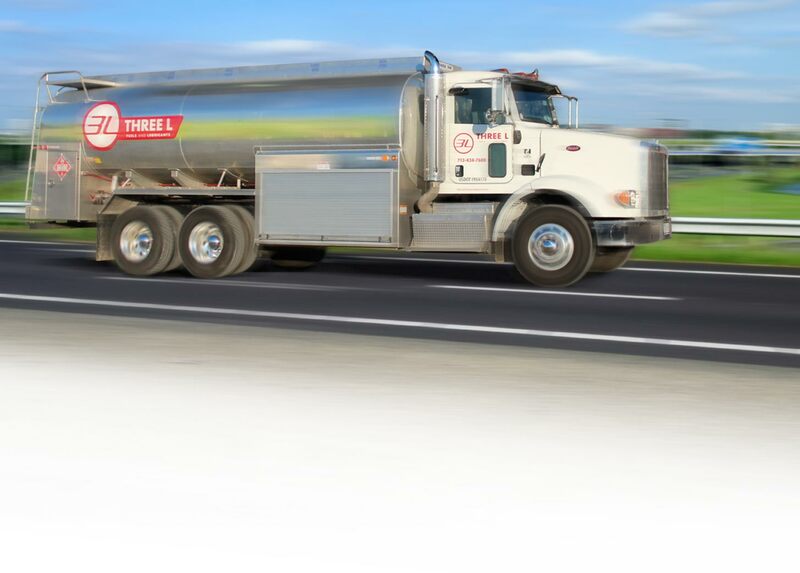 Our wide array of fuel products, combined with our experience, state-of-the-art distribution facility and company owned fleet of transport trucks and bobtails ensures we deliver the right fueling solution when and where you need it. Our state-of-the-art bulk oil facility provides safe and efficient high-speed refueling of on-road and off-road diesel equipment, as well as a wide variety of bulk lubricants and cutting fluids. Further minimizing downtime and interruptions is our mobile delivery service. Whether your project requires 500 gallons or 5,000 gallons, we have the resources and capabilities to ensure prompt and professional service. And, we never charge our customers a delivery fee within our trade area. Aside from delivering top-of-the-line fuel products and services, we also offer premium lubricants and cutting fluids to enhance your total operations. To learn more about how our courteous, professional service team can help you keep things moving, call 713-434-7600 or contact us. Please note that when accessing the Safety Data Sheets, you will be redirected to the manufacturer's website. If you need additional assistance, please call 713-434-7600 or contact us.